The fragility of the vein wall causes dilation of venules that disrupts venous circulation. 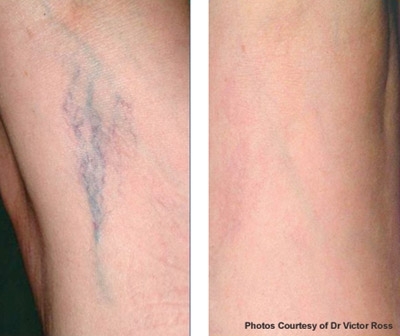 Spider veins are small dilated veins which appear transparent under the skin in tiny maze red, blue or purple. These dilated veins can worsen over time leading to surgery. With its superior beam quality, the Candela laser GENTLEMAX Pro Â emits a laser beam that passes through the skin selecting the blood vessels of a vascular anomaly as its main target. This is done without damaging surrounding tissue and scarring. The heat produced by the laser performs a venous thermo-coagulation (sealing vessels or thermolysis (splitting)). During the heatâ€™s impact, the vessels are immediately bleached and varicosity disappears. The use of laser in the treatment of vascular lesions is so safe and effective that it is often used to treat babies. No chemicals or injections are used avoiding any risk of allergy. 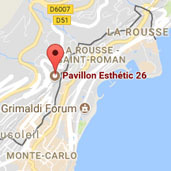 Laser is recommended in the treatment of spider veins and rosacea. This is enough to transform Â these vascular malformations. Rosacea is a chronic and progressive skin condition affecting the face. Â It consists of a visible redness that is increased by heat, sun exposure and emotions. The laser treatment GENTLEMAX Pro coagulates the wall of micro-vascular dilatations by removing the unattractive appearance of rosacea. In order to maintain results, treatment may be necessary once or twice a year.